THE WORLD'S FIRST 7NM GAMING GPUThe ASUS AMD Radeon VII graphics card is powered by 7nm technology which delivers extreme graphics performance for you to enjoy vivid gaming visuals for the latest games up to 4k! The Radeon VII has 45% more memory and 66% more memory bandwidth than other competitive gaming GPU’s in its class. Don't get held back with your work anymore with virtually limitless content creation in 8K and more. DirectX 12 and Vulkan is also supported by the AMD Radeon VII which also provides incredible gaming experiences with ultra-smooth and consistently high framerates at 1440p. 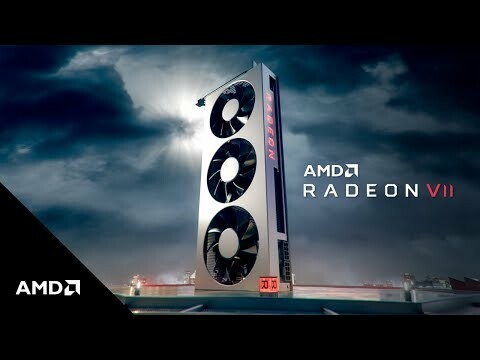 World’s First 7nm Gaming GPU with 16GB Memory AMD Radeon VII packs mega memory muscle and great graphics performance enabling hyper-realistic visuals. 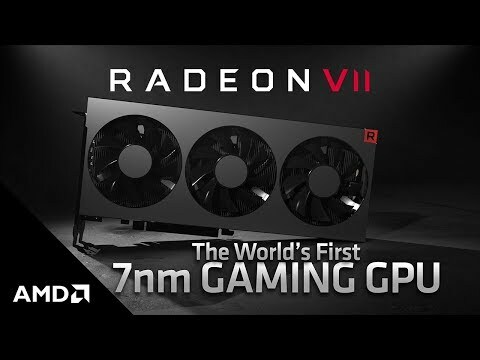 With 16GB of HBM2 memory, up to 1TB/second of memory bandwidth and a 4096-bit memory interface, the AMD Radeon VII is perfectly suited for memory intensive and graphically demanding applications. Embrace content creation — even in 8K resolutions, VR and beyond — that's so quick and responsive it's practically clairvoyant. EXTRAORDINARY CREATION WITH EXTRAORDINARY CLARITYRadeon VII is future-ready and built to meet the demands of high-performance gameplay with support for DirectX® 12 and Vulkan® features to deliver incredible gaming experiences at ultra-smooth and consistently high framerates in 1440p, ultrawide and 4K. Reinvigorate your favorite esports games and get unrestrained HD game streaming with virtually no performance impact. The Radeon VII GPU is in a class of its own. Get the Best Smooth Gaming Experience The ASUS AMD Radeon VII GPU is can be used with a large selection of FreeSync gaming monitors. 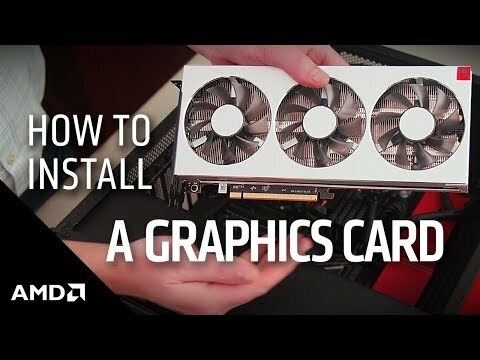 With such a wide array of monitors equipped with Radeon FreeSync or Radeon FreeSync2 HDR available you can enjoy choosing monitors that are styled and run how you want, but by choosing a monitor with FreeSync and combining it with an AMD card of this caliber the results will be a stutter-free, tear-free and artifact-free smooth gaming experience. Seize your gaming victories with easy streaming capabilities AMD Radeon™ Software Adrenalin 2019 Edition gives you more control over your gaming experiences. The software's intuitive interface enables players to stream, share and tweak graphics settings in real-time without missing a second of the action or compromising in-game performance. Radeon™ Chill dynamically helps you save power while gaming by staying cooler. You can also create custom profiles to help tailor your gameplay to further enhance your PC's performance.